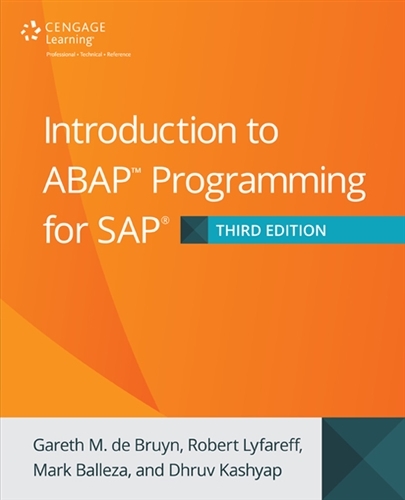 In this thoroughly updated third edition of INTRODUCTION TO ABAP PROGRAMMING FOR SAP, you’ll find real-world examples that will help you master ABAP, the main language used for building solid-state business applications in the SAP runtime environment. This book contains a learn-by-doing tutorial with real-world business examples for programming in today’s most powerful client-server environment. From the basics of tables, displays, loops, and conditional operators to tuning and troubleshooting techniques to web service calls, object orientation, or enhancing system performance, this tutorial is a must for anyone developing in the SAP environment. Whether you’ve already spent thousands on official training or learned SAP on your own, this book offers comprehensive technical knowledge on reports, interfaces, data extracts, and testing. 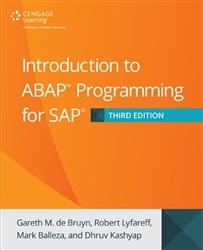 Take control with INTRODUCTION TO ABAP PROGRAMMING FOR SAP, THIRD EDITION.